Mamoon Hamid is one of the leading SaaS early-stage investors working in Silicon Valley today. He’s a partner and co-founder at SocialCapital, Intercom’s lead Series A investor, and an early-stage investor in Box, Yammer, and Slack – all billion dollar companies. 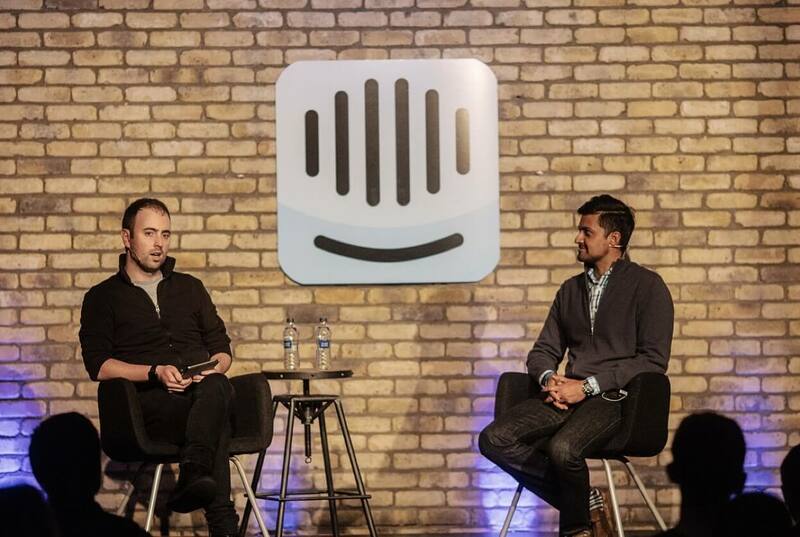 Mamoon was recently interviewed by Eoghan, our CEO, at Intercom’s On Raising Capital event. The conversation ranged from why he chose to invest in Intercom to how SocialCapital works, and we’re now releasing it as a podcast which you can listen to below. We’ll be publishing more content from this event in the coming weeks. If you’d prefer to read their chat, here’s a transcript of the conversation, edited for ease of reading. Eoghan McCabe: SocialCapital is small, just three partners. It’s also relatively young at four-years-old. How does that differentiate you and what advantages does that bring to your firm? Mamoon Hamid: It all starts with our mission; that’s to solve some of society’s greatest problems with technology, and to find a way to create equality and a level playing field across all areas. This drives everything we do and allows us to think of the world afresh. In terms of advantage, there are lots of things technology can do to open up new opportunities and create a level playing field. There’s lots of inefficiency out there. We can look at markets like healthcare, education, financial services, consumer, enterprise, real estate, agriculture and climate and see where software and the companies we invest in can meet these challenges. Eoghan: Are there any downsides to having such a small and young firm? Mamoon: We’re a small firm, but we have a bunch of folks who help us make good decisions for our companies. These include our growth team and data science team. With regard to challenges, when you create a firm you self-select people that you’d like to work with. In the case of SocialCapital, I’d worked with one of my partners Ted Maidenberg (co-founder & partner) for many years. Ted had worked with Chamath Palihapitiya (founder & CEO), our other partner, but I hadn’t worked with Chamath. So we had to get to know each other’s styles. It’s about how you form those partnerships, just like in a startup. Eoghan: How big are your funds? Mamoon: We’re just over $1.2 billion, over three funds. Eoghan: That’s a lot between three partners. Mamoon: It’s a lot, and it allows us to do a lot. But more capital would allow us to do more. Eoghan: Yeah, but it’s a lot to put to work between three people. Mamoon: It certainly is. Especially for early stage investing where you’re writing checks for $5-10 million, and not $50 million. Eoghan: Why did you invest in Intercom? You hear about a company once and you may not remember them. You hear about them a second time and it’s like, “OK, yeah, I’ve heard about that.” But you still may not really remember them. The third time you’re like, “Okay, I should probably pay attention here.” That was the case with Intercom, and I wanted to meet you because of it. 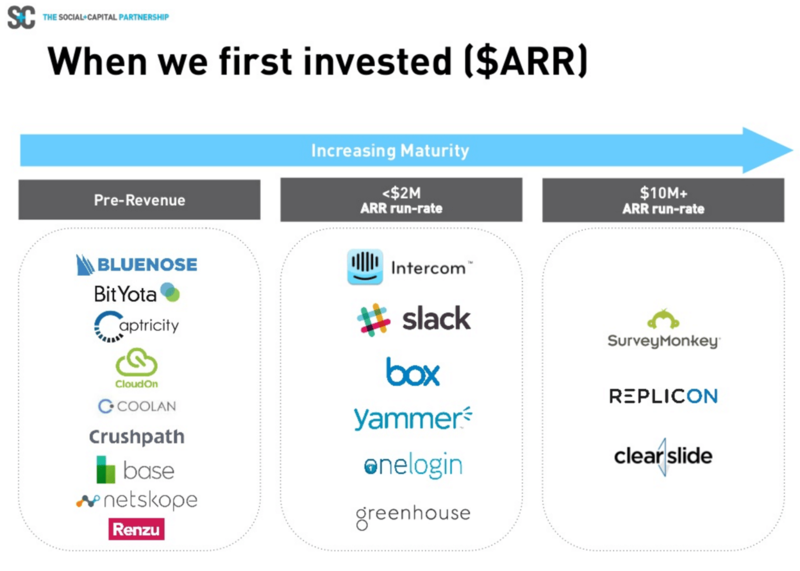 The other reason Intercom resonated with me was because I’d invested in a CRM company in the past. Intercom combined some of those old school, customer facing technologies into one new product. I’d invested in the side-load way of doing things before, and it didn’t make sense that the left hand didn’t know what the right hand was doing. Intercom brought the notion that a customer is always a customer; of being there all the way along the customer lifecycle. With Intercom you always know exactly what’s happening, and that notion is really compelling. I knew within the first five minutes I wanted to invest in you. Not just because you’re handsome and charming (that goes without saying), but because of what you’re working on, because you’re a visionary, and because you did a very good job in telling your story in about three minutes. You had the innate ability to communicate what Intercom was three years ago, and where it would go ten-years out; working on the present, yet thinking five steps ahead. Eoghan: Thanks. That makes me feel good inside. How long did it take between our first meeting and you signing a term sheet? Mamoon: Less than 24 hours. We met you on a Tuesday morning and the following morning Chamath had breakfast with you, and he had the go ahead from us to do a deal. Within 24 hours we had a deal signed. Eoghan: What do you look for in a Series A stage investment? Mamoon: It’s always trite to say we look for the founding team. But truly product-driven founders who have a mission, and who are trying to solve a real problem in the world, are very attractive to us. We look for early indications that they know how to build, how to push product into the market, and that they’ve found product-market fit. It doesn’t have to be a lot of product-market fit, but a little. If it was so obvious to everyone then we wouldn’t be early-stage investors. A combination of these things is what we’re looking for. Eoghan: Yeah. That makes sense. You were an early investor in Slack. You invested before it was clear that everyone should invest in Slack. Why did you invest in them? Mamoon: I had an unfair advantage. I was an early investor in Yammer, which for those of you who don’t remember was enterprise social networking. When Slack was still in beta, we got access to some of the numbers on every dimension of engagement; daily active use, conversion to paid, the amount of dollars it will charge per user. There was a factor of two-to-four on all those dimensions. I did the math, and it’s around 32X if you multiply engagement, conversion and monetization. Even at a very small scale, with thousands of users, this is unheard of. In enterprise this never happens. There’s never anything that’s so viral. Even though the product was in beta, it was really compelling. Eoghan: Right. Having said that, that was a big round for a product in beta. It must have been scary. Mamoon: Yeah. We wrote a $25 million check, which was the largest check we’d ever written into a company. It came out of a conviction around the idea, the team and the product. I’d spent a lot of time looking at other similar companies, and every time I’d end up saying, “Yes, but show me the traction.” We actually met Slack four months prior to investing and I said: “This looks really nice, but let’s look at some data when you have it.” Even the best early stage investors are still looking for some ounce of traction. We probably could have done an earlier investment in Slack at a fraction of the price. We’d own a lot more business, but we just didn’t have the conviction at that time because there wasn’t any data. Eoghan: One of the reasons I’m not sure I could be a VC is that it’s damn hard to get into the good deals. There’s just too many people running around the Valley with too much money. If you ask people to name a VC firm they might say Andreessen Horowitz. They’re the content kings; podcasts, events, and all sorts of phenomenal stuff. How do you compete with that? From my perspective every VC is trying to out-tweet and out-blog each other. What do you do if you don’t want to take that strategy? 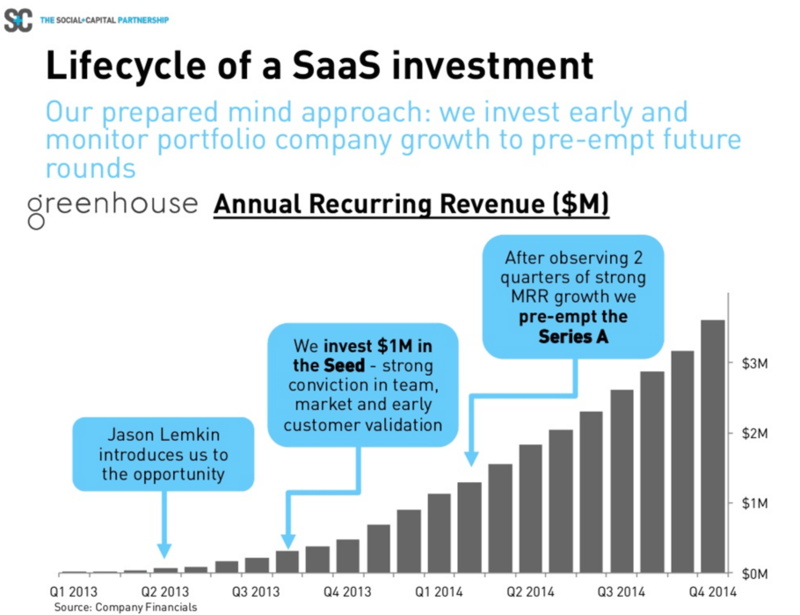 Mamoon: Andreessen Horowitz is doing a phenomenal job, sort of changing the game of venture capital. Having said that, I don’t think we look at ourselves as venture capitalists. I think there’s a lot more that technology can be and do than just being VC. If we just take a step back, and this is a thought experiment we’ve run inside of our firm, if you look at the S&P 500 today, about 10% are technology companies, true technology companies. That’s 50 companies out of 500. We estimate that in 30 years, 50% of the S&P 500 will be technology companies, so 250 total companies. Because the half life of an S&P 500 company is 12 years, there will actually be 200 times two and a half. So 500 companies created in technology that will enter and exit the S&P 500. Which means over the next 30 years, there will be one technology company [formed] every five weeks that has a potential of being an S&P 500. There are a lot of companies that will solve many basic, fundamental needs through technology, whether it’s in agriculture or shelter, transportation or climate, real estate or housing. Our goal is to capture many of those companies. We have a decided focus, and if we’re fishing in deep waters, even in trillion dollar markets, inevitably we’ll have a chance to participate in some of these businesses.